Man Flu successfully combated and it was on to our second session. Unfortunately, we were without two players this time but the plus side of having a party of 6 is that you can still continue on without too much hassle. Following on from a short rest to catch their breath, our intrepid heroes ventured further into the hideout, determined to find the sole remaining goblin they believed hiding deep within. The dam trap had been released in the previous session (causing D’Mass to be swept off his feet) but they were a little warier, instead taking the route to the bridge. Seeing that a makeshift barricade had been erected at the far end, Penance lowered a rope over the side of the bridge. The idea being that the rest of the party could make their way around and into the room ahead from two different angles. The goblins hiding on the other side of the barricade had other ideas though and a lucky shot from one put Penance back on the floor. A short battle erupted with the goblins coming off worst and a, luckily found, potion of healing brought Penance back into the fray. This was just in time as the next cavern contained the biggest threat the party had met. A bugbear! Taurion took the bold step of attempting to charm the bugbear, flattering it with platitudes and the promise of wealth and glory. It was a tactic I wasn’t expecting and came close to being successful, but D’Mass saved the day by recklessly diving it and starting a fight. The players had become used to their various options now and so worked together well as a team. The bugbear nearly landed a very powerful strike but, instead, it glanced off Taurion’s shield and smashed into the cavern walls showering rock and rubble everywhere. 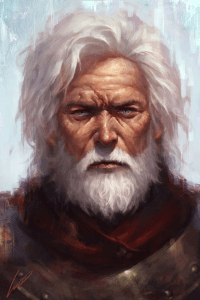 Soon the dust settled and they found Sildar Hallwinter bound and unconscious on the floor. Reviving him, they learnt of Cragmaw Castle and the Lost Mine. Intrigued by the prospect of future wealth, the party agreed to accompany Sildar to Phandalin before deciding on their next course of action.